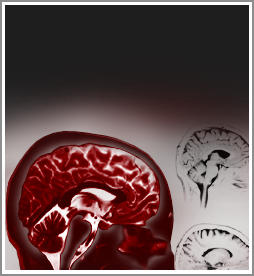 Traumatic brain injuries as a result of a car accident are much more common than is realized. Nationally, there are over five million people suffering from the effects of a traumatic brain injury. The disabilities that result from a traumatic brain injury can be profound, such as the inability for the injured person to care for themselves, or it can have a less severe impact with problems ranging from an inability to concentrate or lack of emotional control. Interestingly, the symptoms of a traumatic brain injury, particularly a mild traumatic brain injury, may not be readily apparent. There may not be any physical symptoms to enable a diagnosis even though the car accident or other accident resulted in other significant injuries. Some symptoms to watch out for are headaches, personality changes, vision issues, confusion, nausea or other mental changes. Our personal injury layers in Charlottesville can help a brain injury victim in Charlottesville, Augusta County, Waynesboro and all of central Virginia recover appropriate damages for all of the problems that result from a brain injury. Our personal injury lawyers work with your doctors to understand the effects of the brain injury and what needs to be done to address the issues. If you have suffered a brain injury or believe that one of your family members is suffering from such an injury, please contact one of our personal injury lawyers for a free consultation to see how we can help.